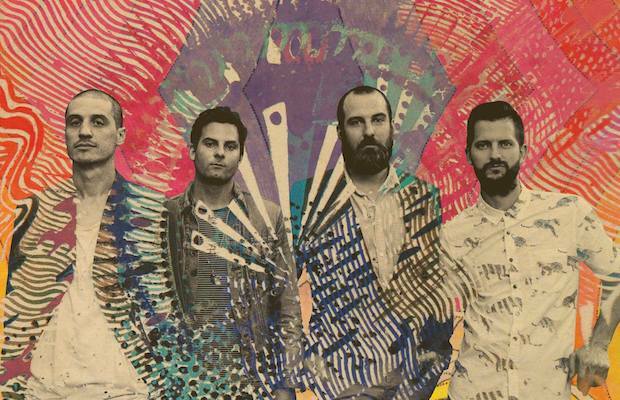 MUTEMATH to Play The Ryman Oct. 3 | Hear New Single “Hit Parade” Now! Partially Nashville based alt/indie/electro rock icons MUTEMATH recently announced their fifth album, Play Dead, with an epic new single “Hit Parade,” which both calls back to the band’s earlier, fan favorite work, and infuses their time and influences on the road and in collaboration with twenty one pilots last year, boasting huge hooks and progressive instrumentation to stunning, anthemic results. In anticipating of their forthcoming release, which hasn’t yet been dated, but sounds very near completion, the group also just announced a massive fall tour, which returns them to Nashville Oct. 3 for a show at The Ryman Auditorium– shockingly, their first time at the Mother Church after previously hitting spots like War Memorial Auditorium, Ascend Amphitheater, Municipal Auditorium, and The Basement East. Sure to be unrivaled fall outing, tickets are available right now and likely to go fast, so grab your spot here and check out “Hit Parade” below!